“Alex Toth, Genius Animated: The Cartoon Art of Alex Toth “ edited by Dean Mullaney and Bruce Canwell, won Best Comics-Related Book at the 2015 Eisner awards in San Diego, CA. Congratulations to Dean and Bruce on another win in this fine series! Today is Alex Toth's birthday. So grab your favorite Toth's work and enjoy it in celebration. For those who like to pre-order or put together a pull list for comic books from thier local comic book shop; the Diamond Code for the New "Bravo for Adventure" is APR150475. Here is the description from the Diamond Catalog. Alex Toth's magnum opus, collected in its entirety for the first time ever! This deluxe hardcover edition contains all three of The Genius's stories starring Jesse Bravo, knock-about pilot and reluctant swashbuckler, including the original graphic novel that's been out of print for 30 years. 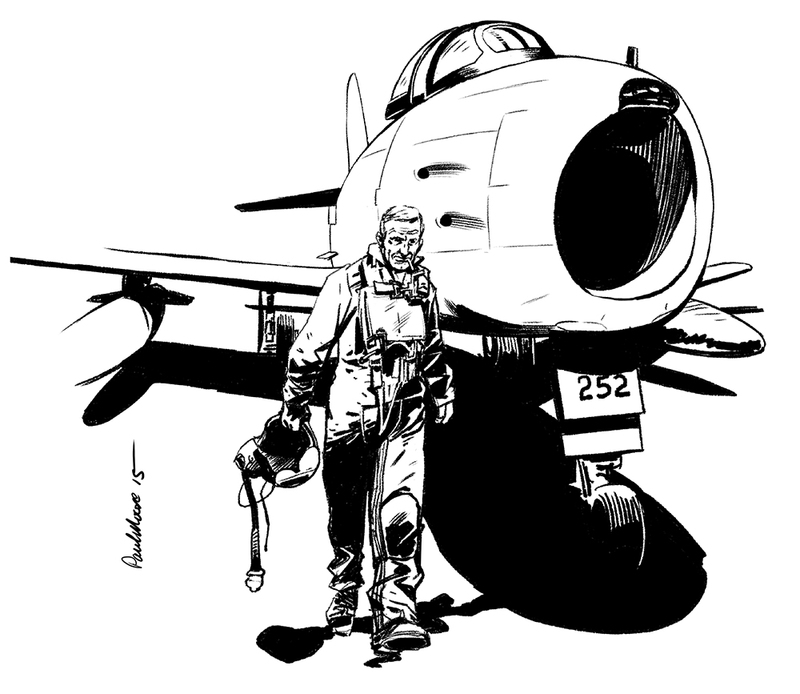 Also included are never-before-seen pencil roughs, preliminary drawings, and story fragments, as well as Toth's own coloring samples for an edition that never saw print, and-freed from storage after 40 years-some of the coloring for what was intended to be Bravo's original 1975 first printing in France! 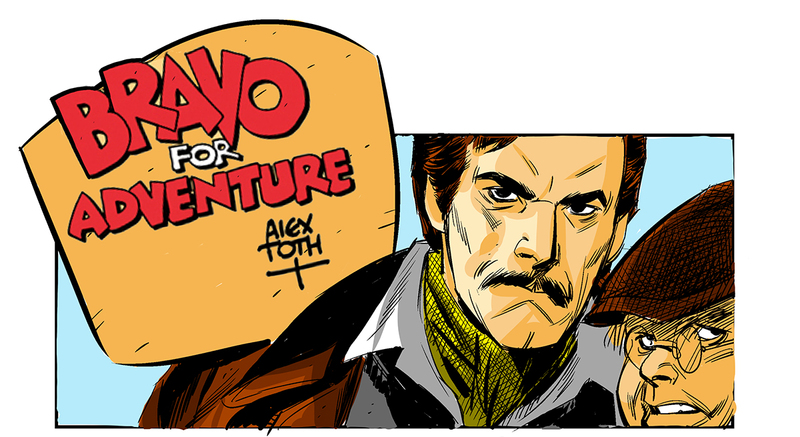 The ultimate Bravo for Adventure, published by special arrangement with the Toth family!